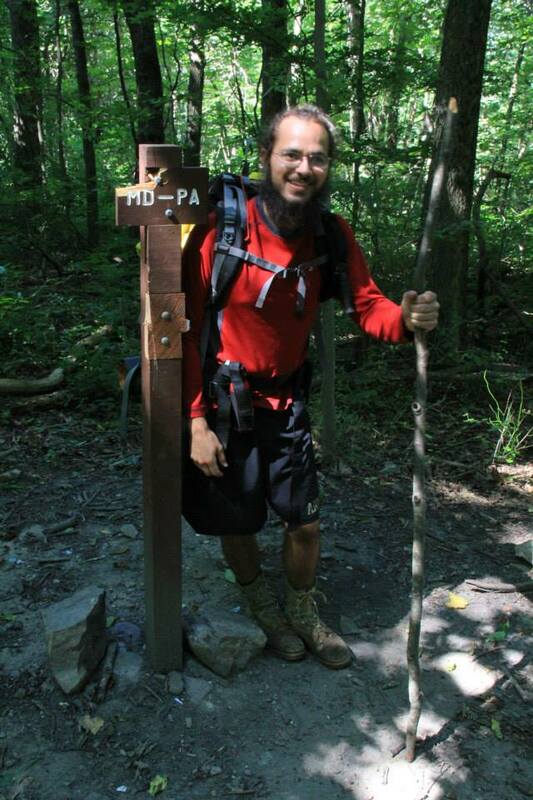 Distance: End to end is 41 trail miles, with another few in West Virginia and a bit of extra walk down to the PA border. With side trips, we did about 44 miles. 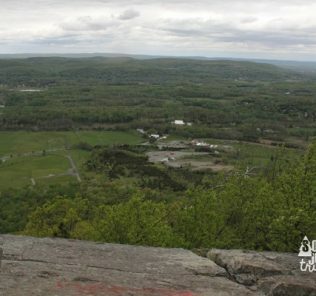 Resource – Appalachian Trail Guide to Maryland and Northern Virginia – 2008 Edition – Appalachian Trail Conservancy. I can’t recommend carrying a trail map and guide enough, it will help keep you on track and point out important things… like water sources. 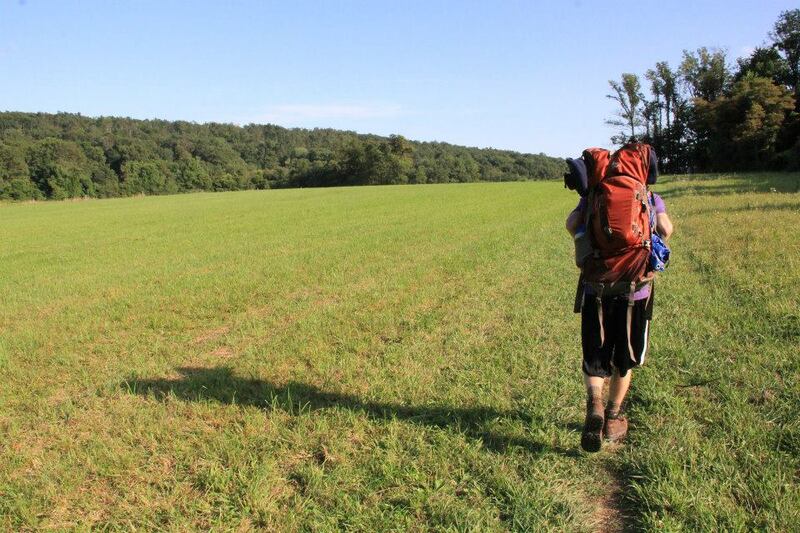 Terrain – forests, ridges, fields, and awesome. 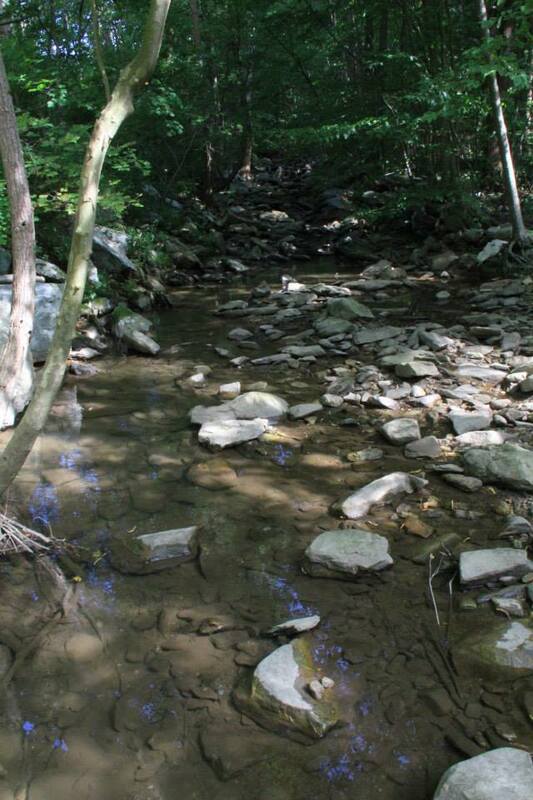 Parking – Northern Trailhead – There is no overnight parking in Pen-Mar County Park. However, overnight parking is available outside Pen-Mar County Park, in the gravel lot across from the park entrance. 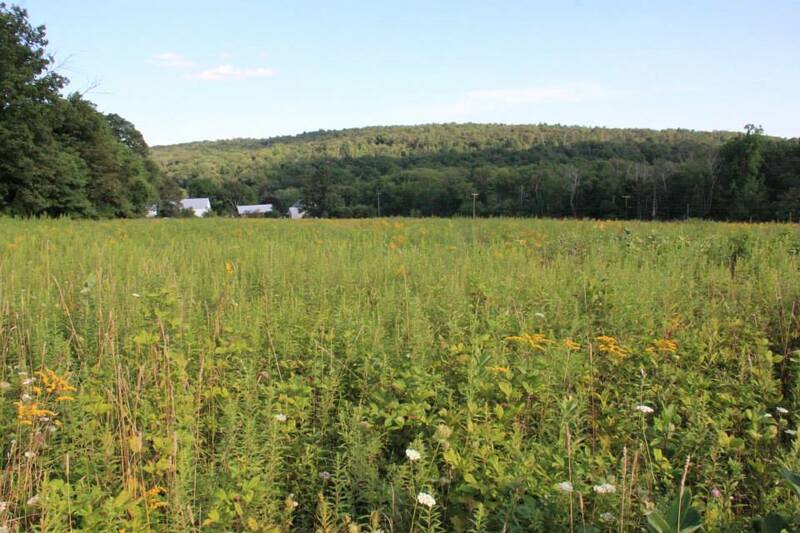 Pen-Mar-High Rock Rd, Highfield-Cascade, MD 21719. Park at your own risk. 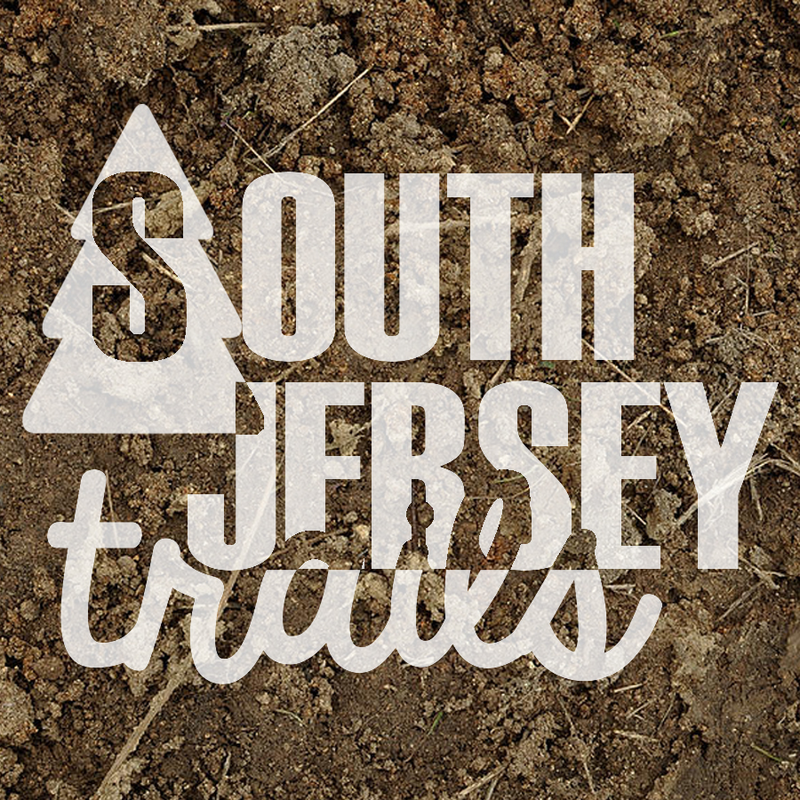 Southern Trailhead – There is NO overnight parking at the ATC Headquarters. However, plenty of parking at the nearby Harpers Ferry National Historical Park at 171 Shoreline Dr, Harpers Ferry, WV 25425. Park entrance fees apply! Check in at the ranger station, they’ll tell you what part of the lot to park in. Good news – you can take the park shuttle to the lower town and head north OR (what we did) take the shuttle from the lower town back to your car at the end of the hike. 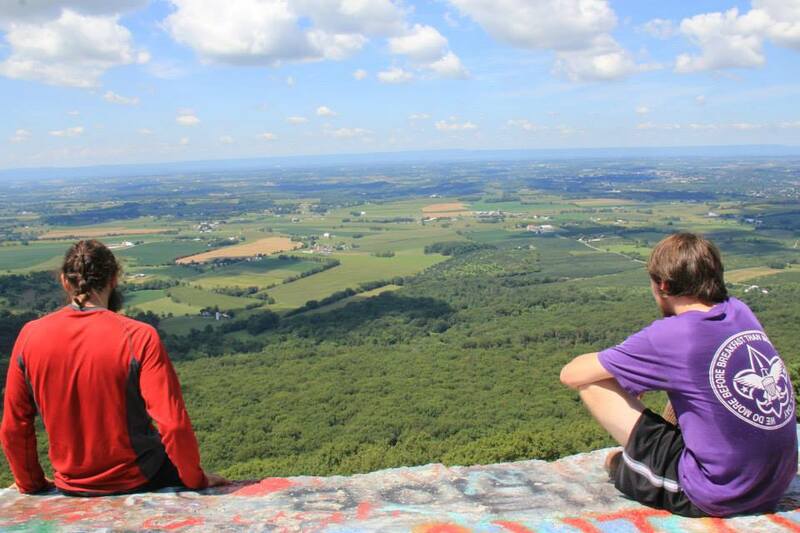 Standouts (Day 1): Pen-Mar, High Rock, Civil War history out the wazoo. Markings – Those famous white blazes. Found them very easy to follow on this stretch. 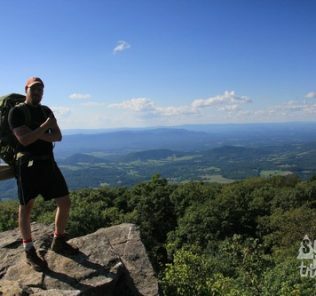 Description: Maryland might be the easiest stretch of the AT that I’ve done so far, but that doesn’t mean it wasn’t really enjoyable. 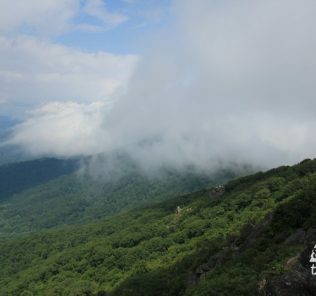 The views aren’t as non-stop as some other stretches of the AT, but the ones that you hit are really great. Another big draw for me was the history, pretty much every pass you cross saw action during the Civil War during the Antietam, Gettysburg, or Monocacy campaigns. START – Pen-Mar County Park in Highfield-Cascade, MD on the MD/PA border. The first day is always the worst. My buddies Dan and Jeremy met me in Delaware and we headed to Harpers Ferry to drop off the first car. We then drove up to Pen-Mar County Park to stash the second car and start our trip. We ditched the car, laced up our boots (I was less than delighted to find that one of my boots had escaped me, and was sitting at my place in Jersey. 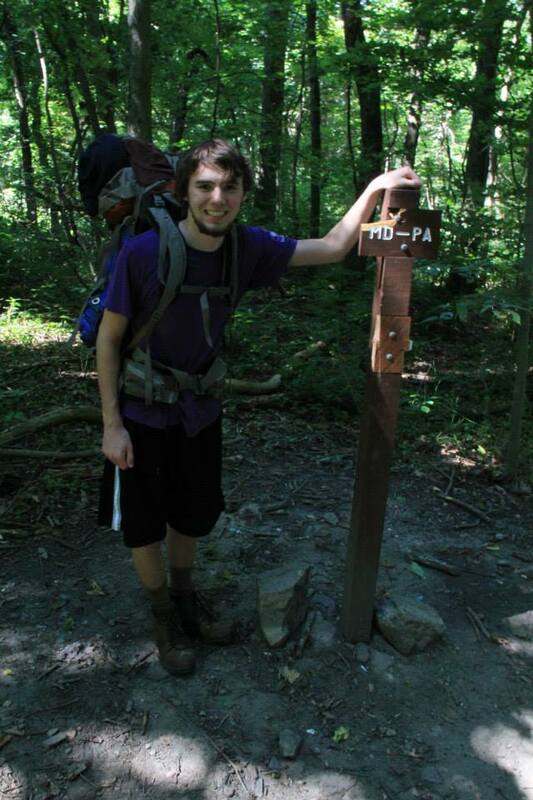 Chuck Taylor for the trip it was), put our packs on, and walked over to the AT. 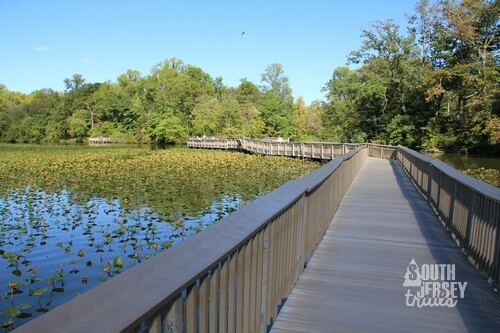 It’s hard to miss, just walk into the park and toward the pavillion with the grand view. Just before you hit the pavillion, you’ll be on the well-marked AT. 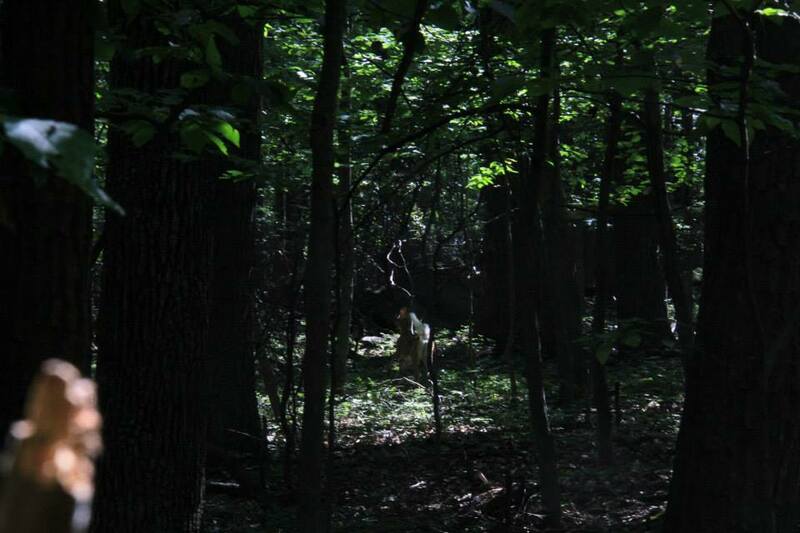 With the hard part of the day out of the way, it was time for a lovely walk in the woods. Being the kind of weirdos that we are, we turned right and headed the wrong way… toward the Pennsylvania border. 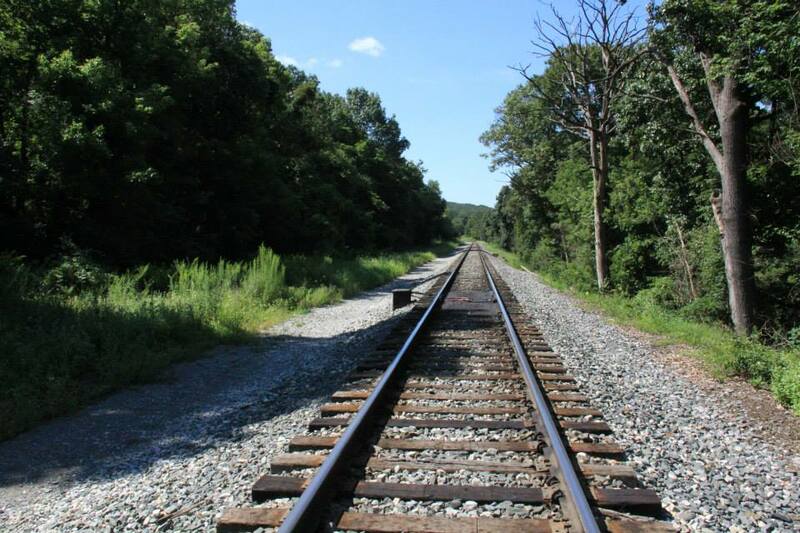 It’s a 1/4 mile walk down the trail and across some railroad tracks to the state line. There you’ll find a small wooden sign designating the PA/MD border. 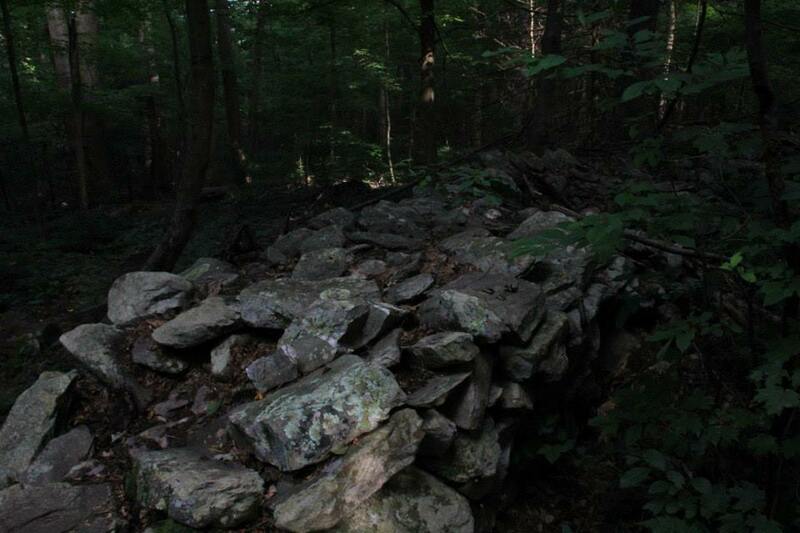 There was a sign for the Mason-Dixon line as well, or rather, there had been, until some knucklehead removed it. With severe malice. 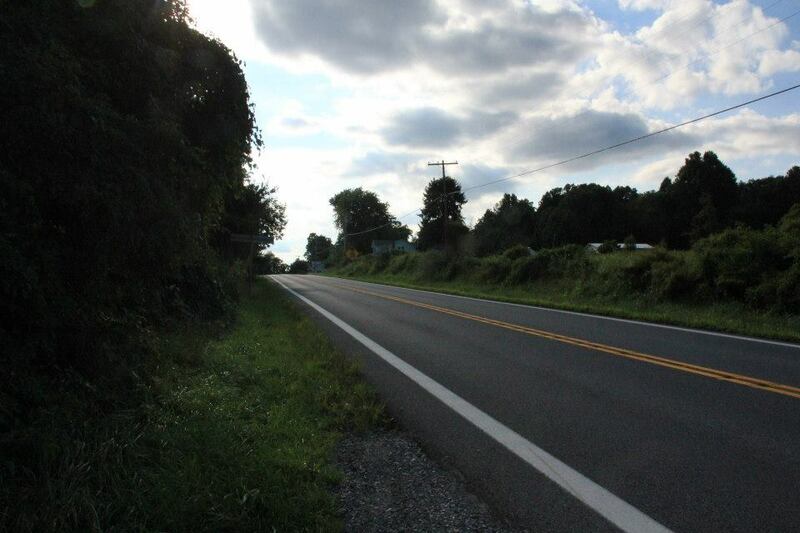 From there, it was time to turn around and head toward the real goal, all through Maryland to West Virginia. 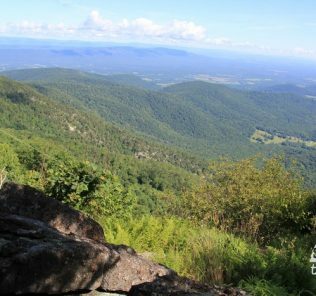 Maryland has the shortest stretch of the AT of any of the 14 states (only West Virginia with 24 miles… 20 of them actually shared with the Virginia as the trail mirrors the state line… is shorter). Four days of adventure awaited. Crossing the railroad tracks a short way from the border. View from Pen-Mar County Park. Pretty nice. The first major challenge comes 2 1/2 miles in, where you’ll climb over 600 rocky feet up Quirauk Mountain in under a mile. This isn’t an easy climb, so take your time. The good news? 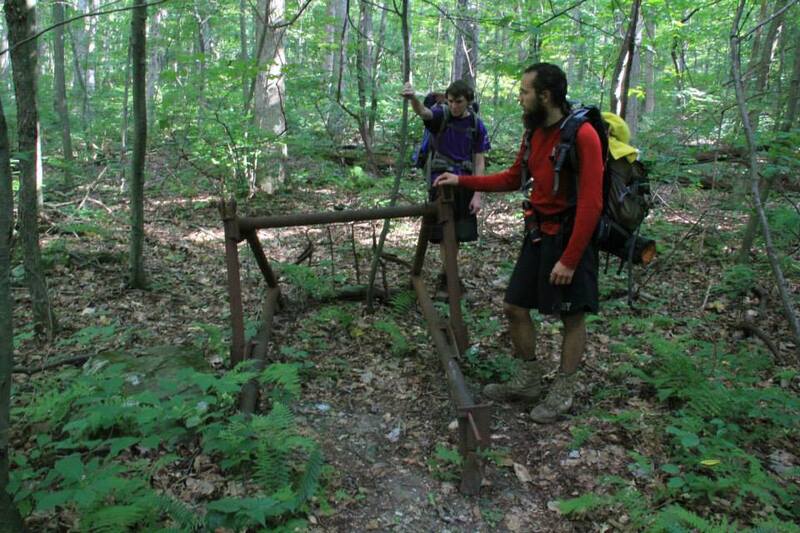 This is the hardest part of the trail in Maryland, and it’s likely all over before you hit the 3rd hour of your trip. 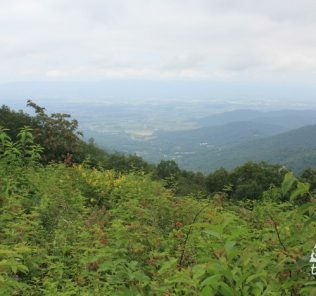 View at the top of the climb. 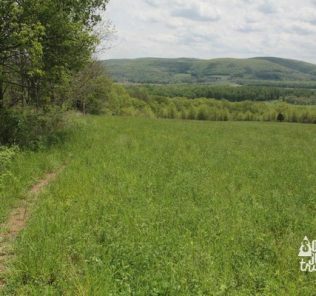 There’s more good news, before you top out, you’ll have the option to take the blue-blazed High Rock Loop Trail. Take it, it’s only a tenth of a mile. 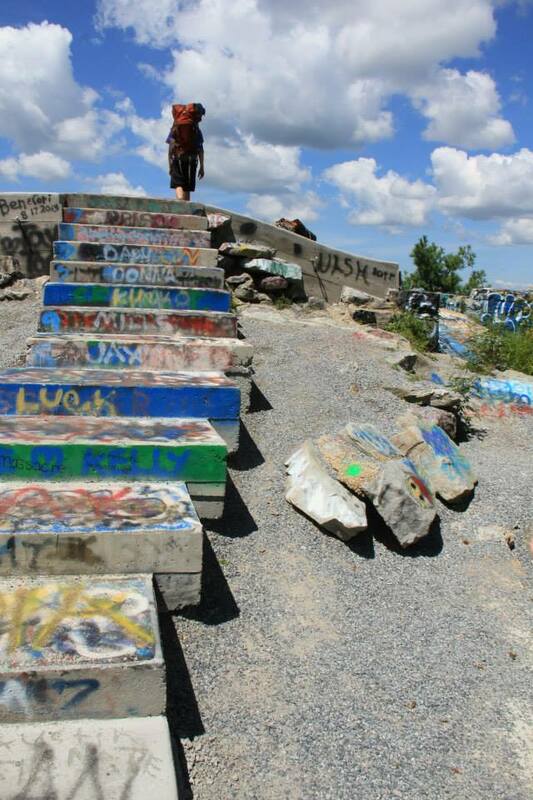 Climb the concrete steps for a view that makes that climb you just did worth every step. View is totally worth it. Take the rest of the loop back to the AT. 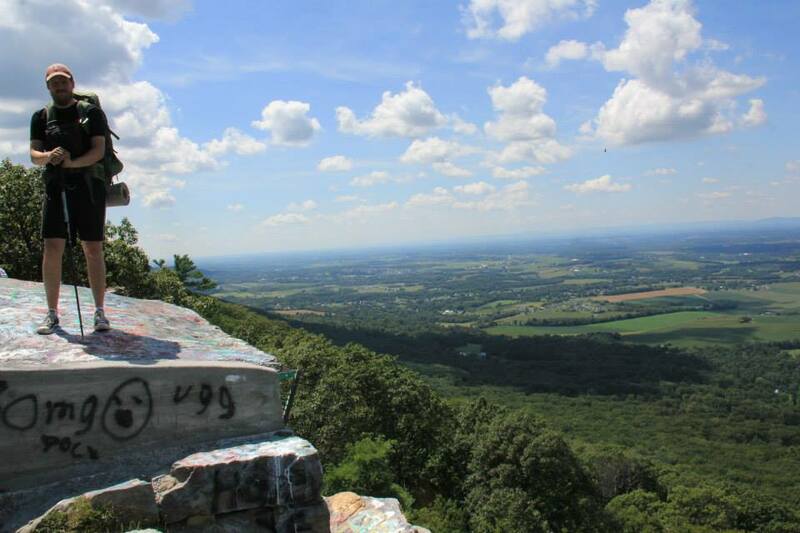 You won’t have any more lengthy climbs for a while, but another 0.7 of a mile will bring you to the highest point on the AT in Maryland. It’s all downhill from here! 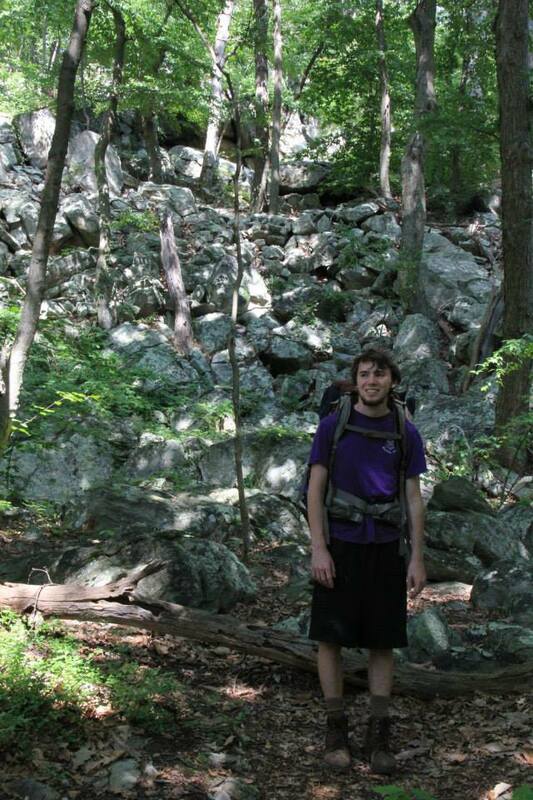 Shortly after this, you’ll come up on the Raven Rock Shelter just before mile 5 for the day. This is a GREAT spot for lunch or a snack. 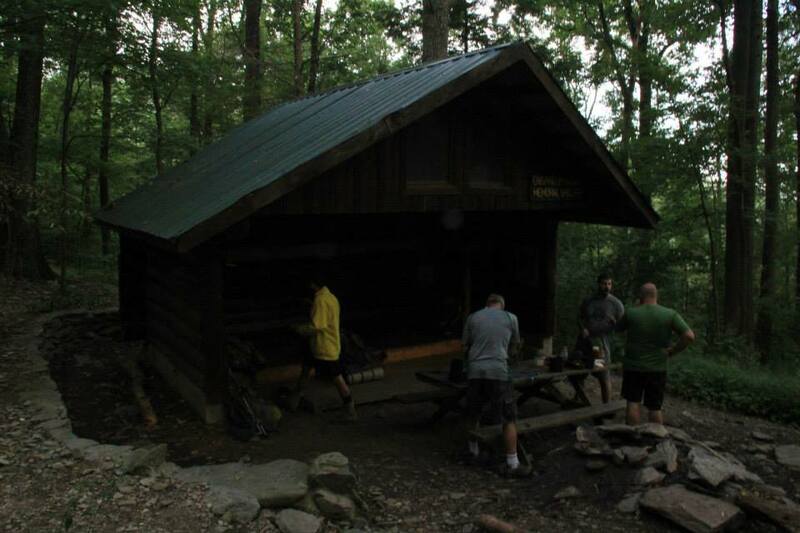 We ate a late lunch, enjoying this shelter, the newest on the trail in Maryland. 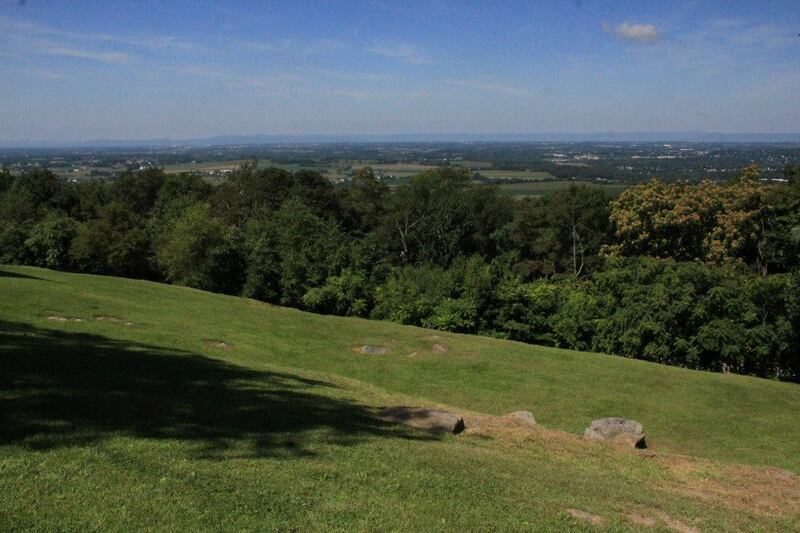 From the shelter, you’ll head downhill, past Raven Rocks, and hit Maryland Route 491, 6 miles into your day. Cross the road. You’ll hit a stream almost immediately. We took the opportunity here to refill our water, then kept on trucking. Entering the fields by the road. Had a blast here this night due to running into a bunch of guys also doing Maryland. They were childhood friends and were goofing around the whole night and were happy to talk, it was great. 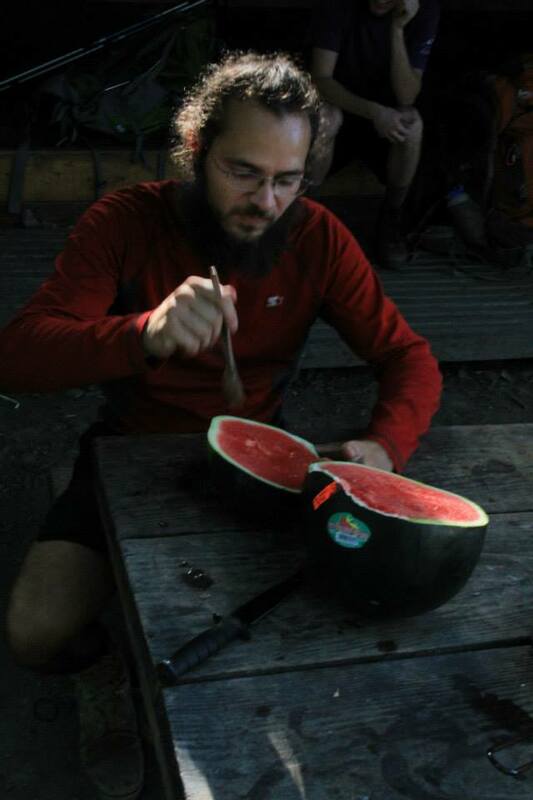 However, Jeremy trumped everyone (and made clear why he wanted to stop here) by pulling a 10+ pound sweet melon out of his pack that he had secretly lugged all day. We all couldn’t stop laughing about it, but were also happy to eat a share of it. – Ensign Cowall Shelter (Mile 9.5 from the border) – Very nice shelter with room for eight people or so. Stream nearby has water, and there is also supposed to be a spring. We stocked up earlier in the day, so didn’t need to get water while staying here. Ensign Cowall Shelter – great night here. Other options (Mile 4.9 from the border) is the Raven Rock Shelter. It’s one of the newest on the trail. We ate lunch there, and it’s a beaut. History, beautiful views, crossing a state line. I left one boot at home, but that's not really the trail's fault. 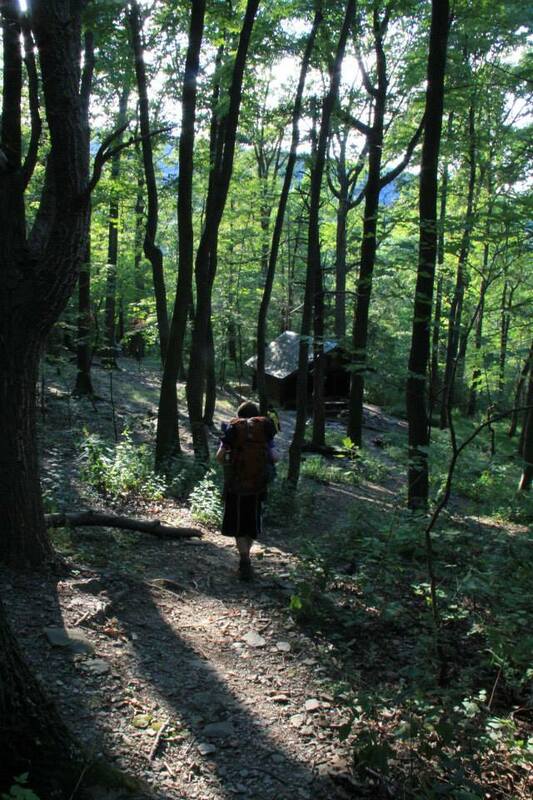 Amazing piece of the Appalachian Trail, Maryland is totally worth doing. 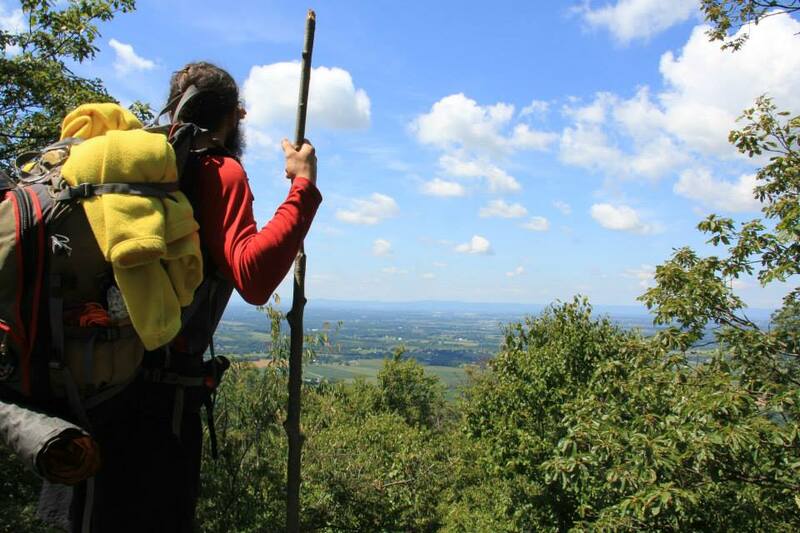 Appalachian Trail, Backpacking, History, National Park, national parks, Outdoors.